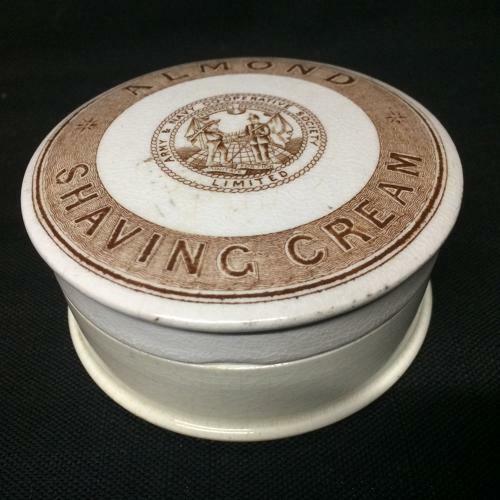 This Victorian 3 3/8 " wide x 1 1/2 " tall covered ceramic earthenware container was made during Victorian times. The Army & Navy Co-operative Society was formed in England in 1871 by a group of military officers to supply 'articles of domestic consumption and general use to its members at the lowest remunerative rates'. The pieces are in great condition.